Thai Sticky Rice with Mango -The Easy Way! - Sparkles in the Everyday! You are here: Home / Everyday Meals! 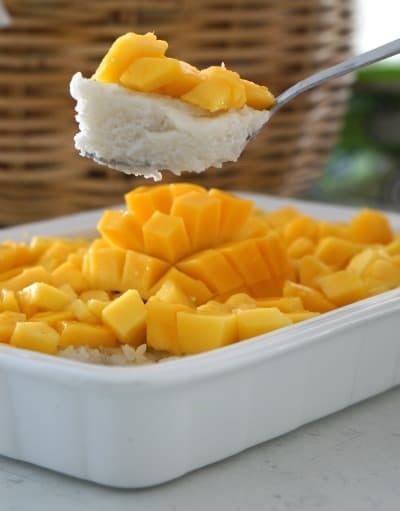 / Breakfast / Thai Sticky Rice with Mango -The Easy Way! This recipe for Thai Sticky Rice with Mango is just so delicious! 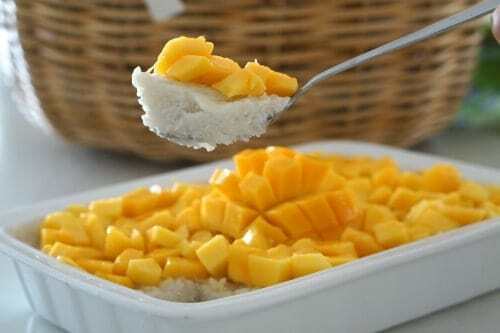 It is the perfect combination of sticky rice, sweet coconut milk and topped with fresh mangos. Perfect for a hot or cold dessert, breakfast or a treat! This dish is for when you need that little bit of fresh sweetness in your day!….for yourself …… 🙂 or for when you need to feed a large group of people, dessert! This Thai Sticky Rice with Mango great dish if you need to feed a lot of friends and family as you can serve it in a large dish and scoop out what you need or you can scoop out individual servings and place them on muffin/cup cake wrappers and then people can take one or as many as they like. The best part is that it can be served hot or cold…perfect for any time of the year! A great dessert that doesn’t take too many ingredients and it is a great dessert when Mangos are in season and are soft and full of that beautiful mango aroma and sweetness. If it is not Mango season where you live…the next best thing is tinned Mango slices! They still have all the flavour and are already sliced…easy! To make this delicious, easy without all the fuss …here are 3 tips!! 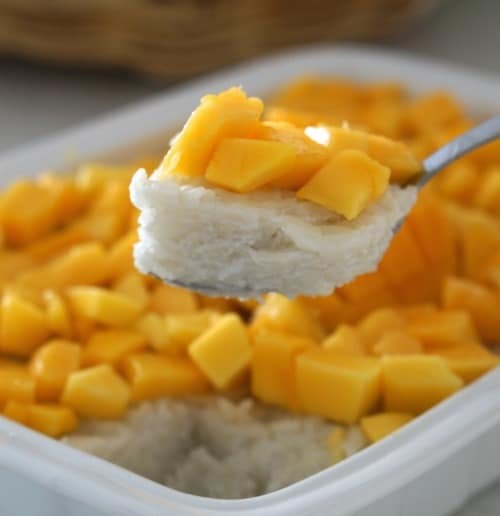 There are two different ways of making Thai Sticky Rice with Mango – the traditional way with a steamer and muslin cloth and the easy way with….a microwave! So the first tip to making this easy…is using the microwave!! 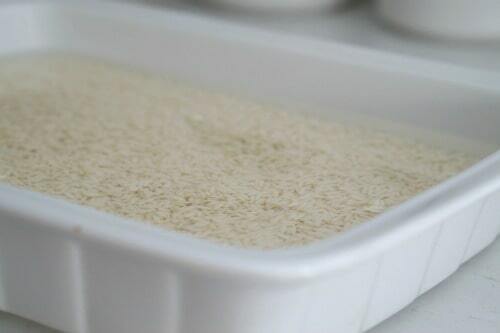 Start with soaking the glutinous rice for 3-4 hours or overnight with warm water. 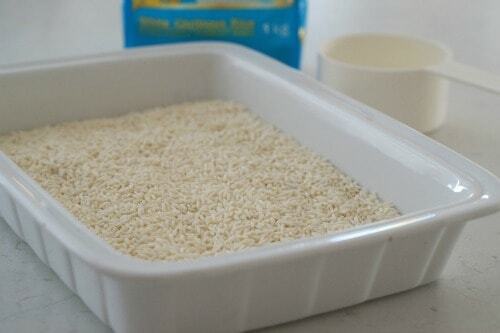 The rice should be in a bowl (a microwave bowl) and just covered with enough warm water to be just above the rice. Then cover the bowl with a plate/ dish and cook in microwave for 3 minutes on full power. Then stir the rice – and make sure to move the bottom rice to the top . To know when the rice is ready the rice will become translucent. If the rice still has a white centre then it needs to be cooked again for another 3 minutes. Continue to check and stir every 3 minutes. Add in the sugar and salt and then remove it from the heat. 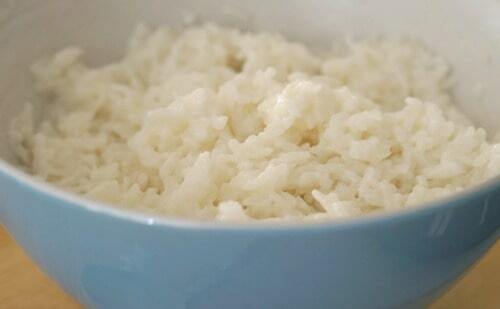 Place the sticky rice into a square casserole dish and smooth out and then our the coconut milk over the hot sticky rice and let the rice absorb the liquid for about 5 minutes. let it cool. If you want it as a cool dessert, when it has cooled, cut it into squares and add to muffin pans and top with fresh mango. The perfect sweet dessert, breakfast or treat! Then stir the rice - and make sure to move the bottom rice to the top . To know when the rice is ready the rice will become translucent. If the rice still has a white centre then it needs to be cooked again for another 3 minutes. Continue to check and stir every 3 minutes. If you want it as a individual cool dessert, when it has cooled, cut squares out of the sticky rice and add to muffin wrappers and top with mango. 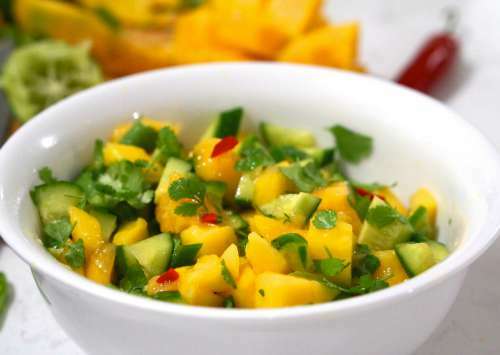 How to make Mango Salsa and Gluten Free Fish Tacos! « How to make Easy Gluten Free Vanilla and Almond Cookies! 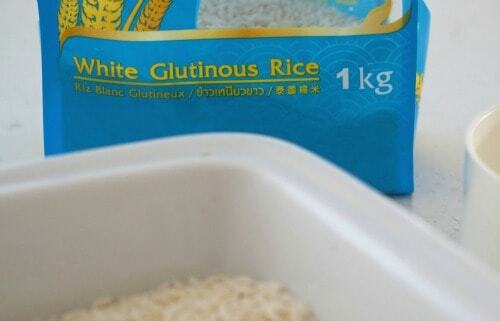 I’ve never heard of glutinous rice. 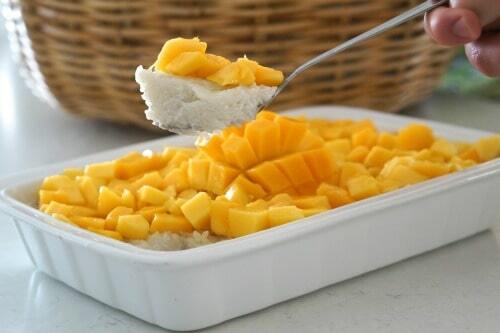 My family loves mango and rice so I want to try this if I can find the rice! I intend to learn some recipes this summer with mango so I’m happy to see this. Thanks for sharing at Merry Monday. We hope to see you again at the new party. This sounds delicious. I like how simple it is to make too. I would have never thought to put rice and mango together. This looks so delicious! Thanks for linkin’ up with What’s Cooking Wednesday!